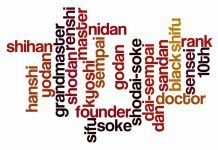 The stories you are about to read are true and are as accurate as the old sensei remembers. There are many lessons learned at an early age and this is one of those. This lesson is the lesson of friendship and the many doors that true friendships open throughout the years. 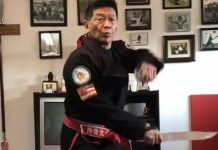 The Leo Fong martial arts connection spans a thirty year period and shows how life goes in circles and how martial arts brings together the true masters. I have gathered my Black Belts to watch the movie “KILLPOINT” a film that stars Mr. Leo Fong, a martial arts Living Legend. I just received it in the mail with an autograph cover. Mr. Leo Fong was one of my first heroes when I came to the mainland. 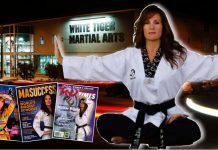 My students and I are looking forward to watching some of the best to be karate stars on screen like Steve “Nasty” Anderson and Linda Denley just to name a few but most of all, I have gather my Black Belts to teach them a sport karate history lesson and talk to them about how I met this great martial artist Leo Fong. It is 1974 and I have been fighting in the mainland now for over five years and built a small reputation for being an all around type of competitor. 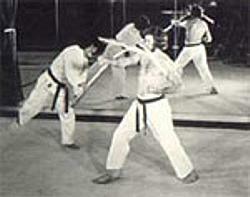 In the seventies not many Black Belts did three divisions, fighting, kata and weapons. I wanted the respect and I decided to give it all and in my eyes it paid off. Black Belt judges were coming up to me asking who I was and where I was from. I would proudly say “HAWAII!” I had not won a major event yet but I was placing seconds and thirds behind the top competitors of that time. Back then competition was fun and exciting even losing was a thrill because you were building the legacy that would last a lifetime. 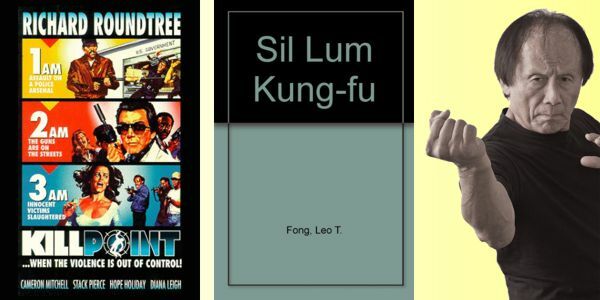 One of the first books I paid for as reference of knowledge was Leo Fong’s now famous Sil-Lum Kung Fu. What drew my interest: it was a soft style and it translates as “young forest” simply meaning to be able to be flexible and like a young tree, bend with the wind. 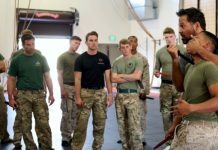 I was fascinated, it was just the opposite of what I have been told to do since I was a kid training in Hawaii – knock them down and go straight forward , hit first, hit last, go for the knockout!! !, evade, dodge, counterpunch, move in circles all the time. I found an uki (partner) and starting practicing what was in the book. It was a secret, only because back then you did one or the other. I remember one of my Shito-ryu buddies saw my worn out, beat up Sil-Lum book and started on me asking me all these questions. Like, is that why your fighting different lately? And why do you want to box all the time? The majority of the public doesn’t realize that Bob Wall was a great fighter as a Black Belt on the national karate scene. He was one the circuits stars he has won or placed in every major karate event in America through his career and was known as one of the super brown belts along with Mike Stone and Al Gene Caraulia. He was an instant hero in my book of memories and he would play a major contributor later in my career. So now I had two new heroes besides my Hawaiian Heroes that were here already on the mainland, Ed Parker, Al Dacascos, Ted Tabura, John Natividad, and my biggest hero was Mike Stone. Through conversation I had heard the Black Belts talk about that Mr. Chuck Norris was forming a new karate League, The United Fighting Arts Federation League and the first tournament was going to be in Ohio. I had just been in the mainland a few years and never competed out of California. I heard Mr. Norris was bringing in some important judges and one of them was Leo Fong and for some reason, I felt I needed to compete. It would be my first out of state event since I moved to the mainland. In my mind if I could win an important event, in front of important judges, I would have the confidence I needed to work even harder to win the next event! I had no car, no contacts and no money for a plane ride or bus. I decided to hitch hike cross country. I drew a map of destination, found the small town of Warren, Ohio (I believe that was the city) and started my journey on Thursday morning – leaving North Hollywood. Back in the ’70s, hitchhiking was sort of safe, I mean, a lot of people did it and I had no other way to get there. My only concern was time. 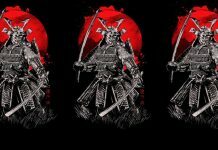 I was taking a big chance: I had to be across country, four or five states, in two days and by 10:00AM Saturday morning for Black Belt Kata and weigh-in. I wish I knew then what I know now because I was passionate about sport karate and I made decisions from the heart and not the mind. The man in the car thought I was nuts because I was screaming about the time. The event started at 10:00AM and it was 10:15 or 10:20 Saturday morning. God bless him he took me to the doorsteps of the arena. I ran to the ticket booth and asked if competition had started and I saw the answer with my own eyes. Mr. Norris was lining up all the Black Belt kata competitors and I did not want to miss that division that was half the reason I hitchhiked out here (the other half was to fight). I remember begging the lady to please send a note down to the floor to Mr. Norris to ask him to hold the division because I had hitchhiked from California to compete. The judges were already sitting down and I knew I had blown it. The lady thought I was crazy she almost called security until she realized that I was sincere. The lady took my note and gave it to a runner who took it down to Mr. Norris. Those seconds between the runner taking the note and Mr. Norris saying I could compete were like hours; it was intense. Then I got the okay and they were waiting for me. I had to dress in the hall way and run down the steps in front of everybody. I got to the floor and said thanks but then a lady came up to me and said you have to go first!! Whoaaaaaaaaa! What happen to random order? Flip the cards? Well, because they had held up the division for me, I had to go first! I looked at the judges and got scared to death, I mean I was really nervous. 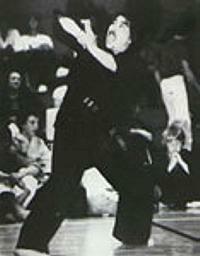 If I remember it right, sitting on the Black Belt board were Ted Volrarth, a Vietnam veteran who did spectacular self-defense demos around the world, and my childhood hero Al Dacascos, he is acknowledged for being the first kung-fu fighter in the blood and guts history of sport karate and his demos were awesome to behold. 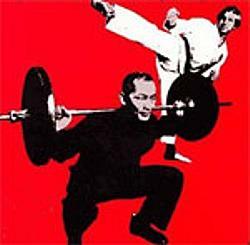 The hero of my kung-fu memories, Sifu Leo Fong, who had secretly taught me Kung-Fu through his book Sil-Lum and Aaron Norris, who was one the best point fighters ever but is mostly known for his stunt work in movies and TV (He would later become one of the best action directors in Hollywood). It was the first time that I saw Chuck Norris, he was special, you could tell by the way he walked and talked. I didn’t even think about it until after the tournament but he could have said no instead of yes and I would not have had this story. I knew his history he was a great fighter and warrior of the blood and guts tournament scene and he was a real champion. His eyes were what stood out to me and he had kind eyes. I remember winning three fights and walking out with third place. I won the last fight with a dropped kick to the groin (now illegal in most karate circuits today). The techniques used in the seventies would devastate a lot of opponents today just because back then we meant to stop you with one technique and we trained very hard to learn that one punch or kick. Our attitude as warriors was simple, I will buy you a coke, maybe lunch, heck, I will even buy you dinner but it is war when we step into the ring, with respect always, respect had to be in the ring for the contact level was high and the classiest competitors had the control but could nail you at any time! Let’s just say it was scrappy. The year was 1982 and in America if you were a warrior, you were chasing those KARATE ILLUSTRATED MAGAZINE POINTS. I was still chasing those first places but now it was even harder: you had George Chung, John Chung, Cindy Rothrock, Peter Morales and a slew of other great performers who always took first in their respective divisions but the most excitement was always the GRAND CHAMPIONSHIP OF THE TOURNEMENT. The GRAND did not give you points but what it got was the respect of the competitors. The unwritten law: they were the best at the event period. No questions asked, decided by the best karate form judges in America. JOHN CHUNG was my personal favorite I would get goose bumps watching him and then had to go out and compete against him (talk about pressure). LEO FONG and RON MARCHINI would produce the TOP TEN NATIONALS in Stockton, California and I was living in Texas chasing points from all around the country. A few of the Texans were traveling too, like JIMMY “Gato” TABARES, AL FRANCIS, RAYMOND MCCALLUM, AL GARZA, and of course Living Legend LINDA DENLEY. My very first sponsor was the Hilton Hotels and I was treated very well: first class airfare, entry fee paid, hotel room, food expense and clothing. I wore a little patch in front and Hilton in big letters on my back. On the flight to Stockton, I met JEAN FRENETTE and this was his first karate tournament in America and his first national event ever. JEAN FRENETTE LATER BECAME ONE OF CANADA’S GREAT FORMS CHAMPIONS. He was so nervous, so I gave him all my best tips on winning and we became fast friends that weekend. Mr. Marchini picked us up at the airport and was very kind to us. He even walked me to my room and carried my luggage for me I was very impressed. Jean and I hung out at the bar telling war stories with the VIPs but Saturday morning it was all business. Well my next encounter with Mr. Leo Fong would be in 2005 in Tarzana, California. I had just finished performing at the BLACKBELT MAGAZINE FESTIVAL OF MARTIAL ARTS at UNIVERSAL STUDIOS-HOLLYWOOD. Grand Master Wall had invited my son and I to work on some projects for World Black Belt. One of the most enjoyable people I’ve had the pleasure to meet was the new Marketing Director for World Black Belt, Mr. Adam James. After a couple of days working in the World Black Belt offices, Adam asked us out to lunch, and he said he was inviting his instructor and World Champion John Chung and his wife. 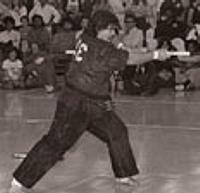 You will never guess who Adam’s instructor was MR. LEO FONG!!!!!!!!!!!!!!!! I was excited I would finally get to just talk to him, one on one and got to ask all the questions I’ve had bottled up all these years. He was very polite and I could feel his chi it was strong. I felt like the luckiest martial artist in the world to be here at this time, this place and this moment. Life does go in circles. Well, not only did I have sushi with my forms hero JOHN CHUNG but the SIL-LUM Kung-Fu instructor himself GRAND MASTER LEO FONG, A LIVING LEGEND who taught me from his book thirty one years ago. But you know what was the most exciting part, I mean knock your socks off part, was having my son meet my heroes and to teach him the lesson of making a friend that will last him a lifetime that was priceless. This is the old Sensei, till next time, keep your hands up and kick hard!! 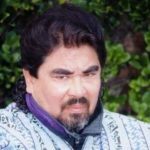 KYOSHI GARY LEE- Born in Honolulu, Hawaii, Kyoshi Gary Lee is an international karate champion, master karate teacher, a writer for many martial arts publications, a black belt hall of fame inductee, and a historian of sport karate. 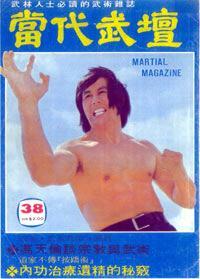 He was also a professional stuntman for many of Hollywood’s favorite martial arts films. 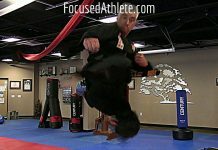 He now devotes his intention to Black Belt TV, a martial arts network he helped create in 2005.